Secrets hidden and secrets revealed. Why are you still besieged by nations? Why are you held hostage from within? What errant flight has the white dove taken? Has drawn her away from her sacred home? You are my journey and my destination. And you are my longing. And you are my sorrow. Will you be my consolation? Postscript: In this revision I struggled with retaining one sentence: “Why are you still held hostage from within?” For me, this is a reference to the current state of broad (but not universal) Jewish religious intolerance and a monolithic Rabbinate that results in religious coercion and misogyny, an unabashedly politically and religiously leftist view. I understand that others may read this sentence completely differently, reading it as the question of why Israel, which controls the Temple Mount, bars Jews from praying there. A much different perspective than mine, indeed. My rationale for maintaining this vague sentence in the meditation is that these questions need to be addressed directly, publicly, without shying away from disagreements. 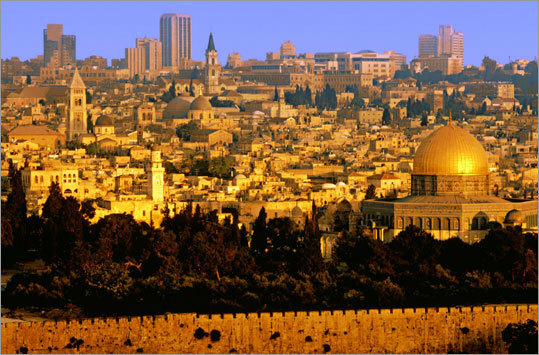 Here are links to “Rules for Being Me in Jerusalem,” “Israel: A Meditation” and “For Peace in the Middle East.” Here are more prayers for and about Israel.